At the celebration of the Eucharist last night [27 January 2016], I was conscious that the Christmas season is coming to an end. I am presiding at the Eucharist again on Sunday morning [31 January 2016] in Christ Church Cathedral, and the Christmas Season comes to an end on Tuesday with our celebrations of Candlemas or the Feast of the Presentation. Lent comes early this year, because of the early date for Easter, and I have started to prepare my daily meditations for the Season of Lent. In previous years, my Lenten reflections have journeyed with the saints (2013), looked at Lent in Art (2014), or reflected on the music if Vaughan Williams (2015). 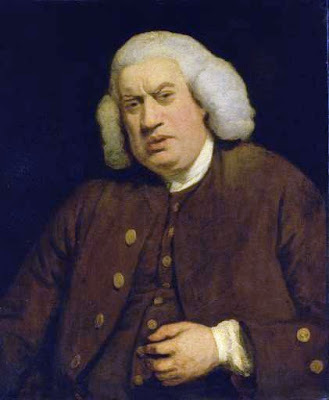 This year, I am planning to take time each morning to reflect on words from Samuel Johnson (1709-1784), the Lichfield lexicographer and writer who compiled the first authoritative English-language dictionary. Perhaps I am sympathetic to Johnson because of his origins in Lichfield. Perhaps I am drawn to him because he recalled that when he lived in in London he went “every day to a coffee-house.” But he was also a pious Anglican, a regular communicant, and he writes regularly and carefully about his observance of Lent and Easter. Lent this year begins in less than a fortnight [10 February 2016], when I plan to begin these daily reflections. Samuel Johnson once declared, through his amanuensis James Boswell, that unless we set aside certain days for particular remembrances, we will probably fail to remember. During Lent this year I have plans for a working visit to London and for a family return visit to Lichfield, so I hope my reflections and the accompanying photographs draw from those experiences too. Wait for a few days, but not for too long, and join me for the first of my Lenten reflections with Samuel Johnson on Ash Wednesday.